The Kobra Cyclone High Volume Heavy Duty Industrial Shredder saves time and money. 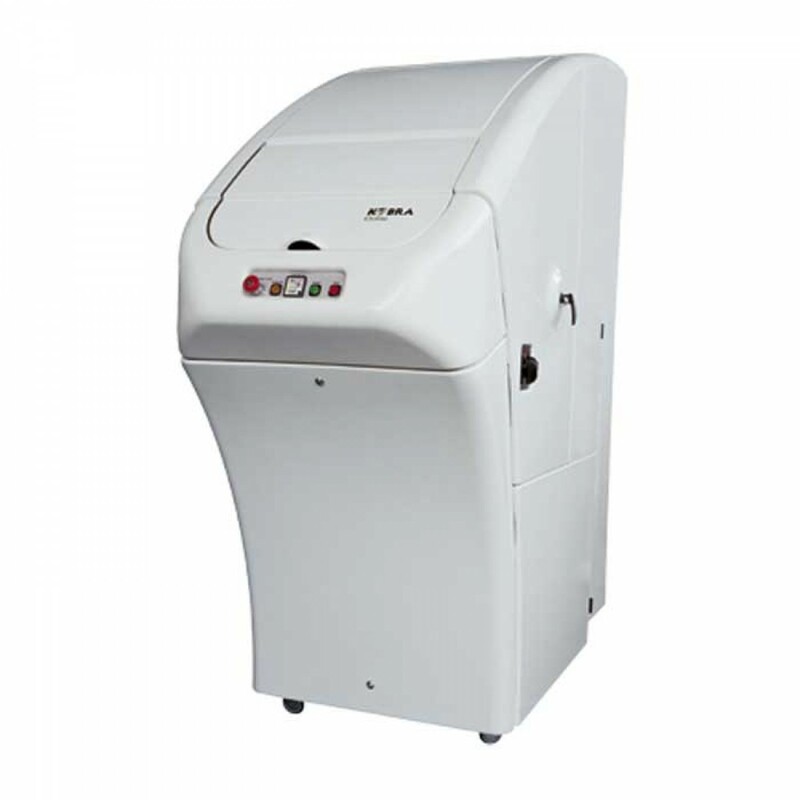 Industrial shredder designed for large quantities of material (up to 940 lbs. per hour) : paper (up to 500 sheets at a time*), credit cards (up to 45,000 per hour), CDs/DVDs/Blu-ray (up to 15,000 per hour), Floppy-Disks (up to 7,000 per hour), cardboard, carton boxes, aluminium cans and plastic bottles. 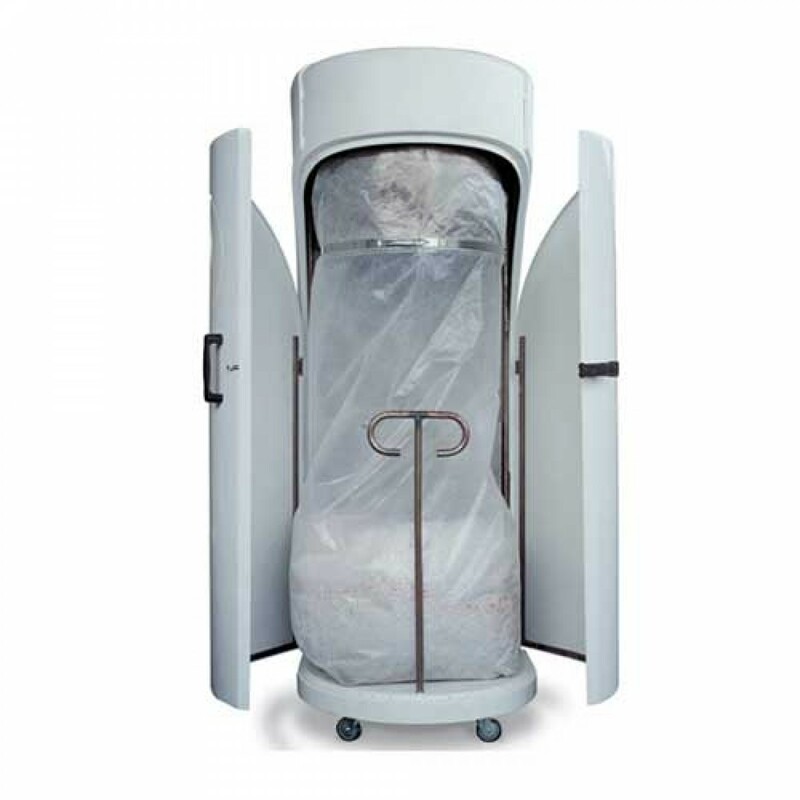 The size of the particles (Security Level) can be chosen when ordering the machine and it will always be possible to change the Security Level, choosing between the 5 different available ones, any time after installation of the unit with a simple operation to adapt to any shredding need. 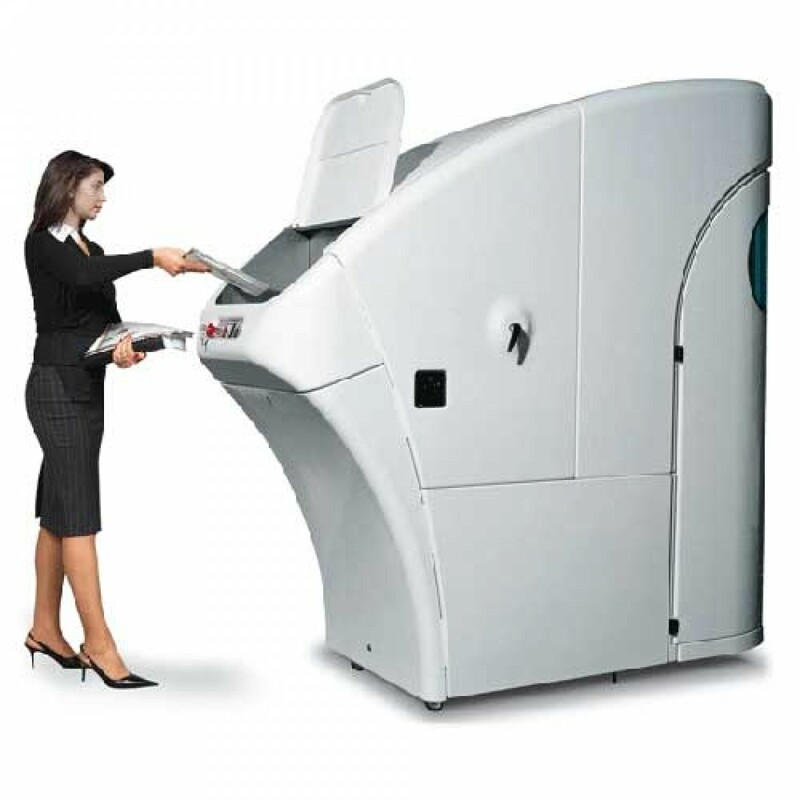 Shredding capacity of 500 sheets at a time* remains unchanged with any Security Level installed in the machine. 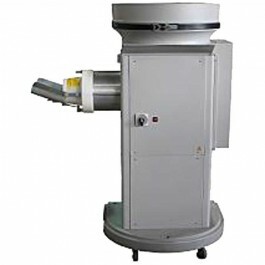 Kobra Cyclone is equipped with an integrated vacuum system specifically designed to provide the operator with clean and dust free shredding environment. 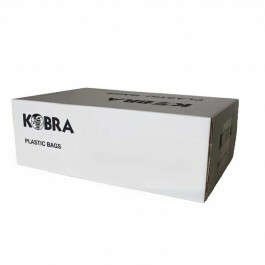 Kobra Cyclone is built with a double insulated shredding chamber and special plastic outer housing enclosure for low noise operation. 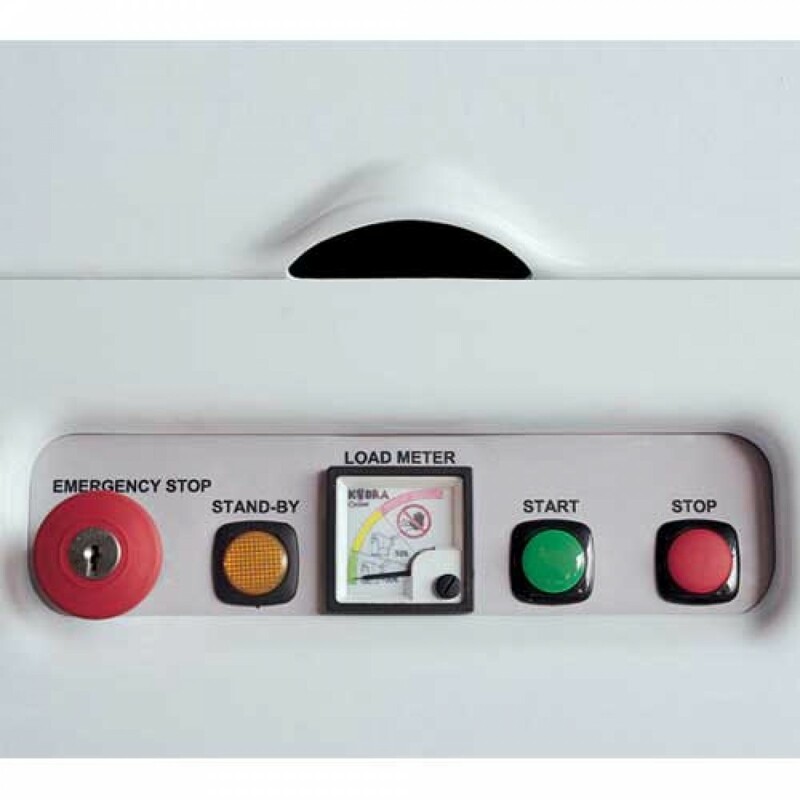 It doesn't require any oiling of cutting knives or special maintenance.This makes it easy to use for everybody at the office. Security Level 006 meets the latest shredding standards issued by the National Security Agency: NSA/CSS Specification 02-02 for paper destruction. 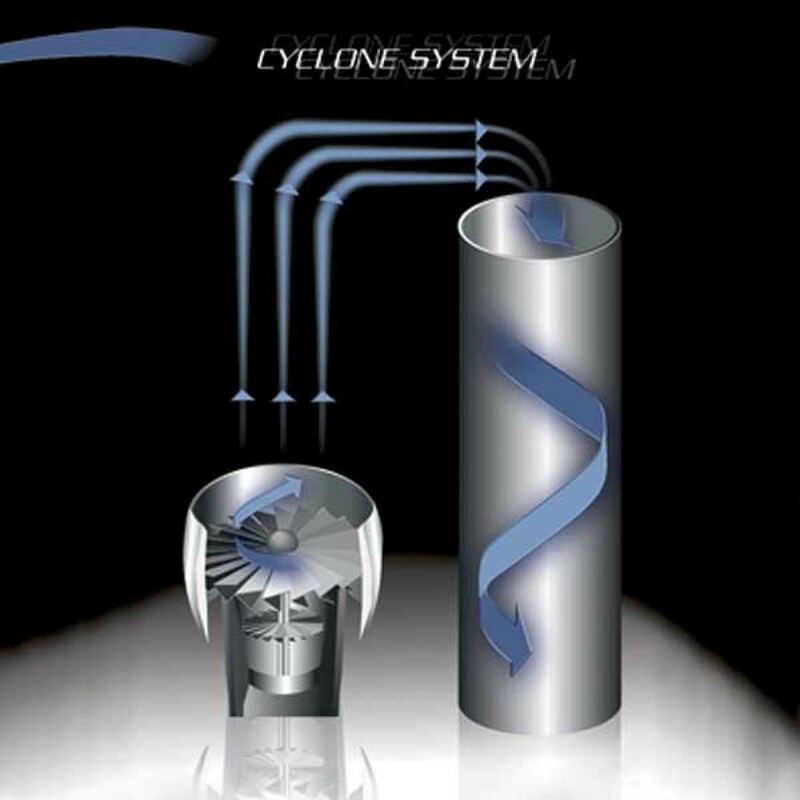 Kobra Cyclone complies with the shredding standards of ASIO Australian Security Intelligence Organization T4 Protective Security. Security level 005 is NATO approved. Feed Size: 13" x 19"